COLUMBIA, MO – March 15, 2016 – (ArmsVault.com) – Larry and Brenda Potterfield, owners of MidwayUSA, recently donated $61,178 to the MidwayUSA Foundation to benefit youth shooting sports. This donation stems from a matching program offered by the MidwayUSA Foundation and is further proof of their commitment to provide sustainable financial support to youth shooting sports teams across America. As a result of the Potterfields’ generous commitment to a 1:1 matching program administered by the MidwayUSA Foundation, a donation match is made for all funds returned to Team Endowment Accounts that teams generate from MidwayUSA Foundation promotions. 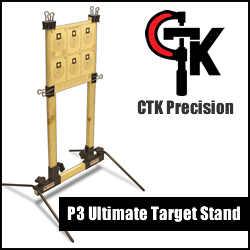 A donation match is also made for all private donations and private donors are given the opportunity to designate a specific shooting team to benefit 100% from their donation. In 2015 the Potterfields’ commitment to the MidwayUSA Foundation match program and youth shooting sports resulted in their donation of over 7 million dollars. The MidwayUSA Foundation is a public charity working to sustain the shooting sports industry by providing long-term funding to youth shooting teams. Shooting teams with a Team Endowment Account can draw 5% of their account balance each year to use for team expenses. The funds can be used for ammunition, uniforms, entry fees, travel costs and more. For more information about the MidwayUSA Foundation, Inc. and its Team Endowment Account Program, please visit www.midwayusafoundation.org or call 1-877-375-4570. 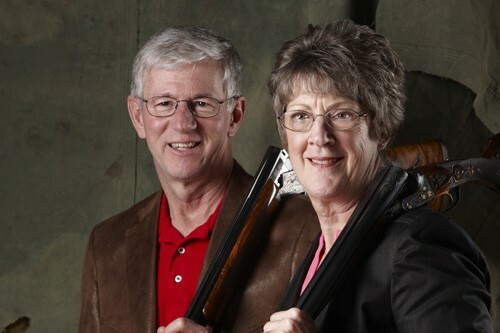 Both country kids from Missouri, Larry and Brenda Potterfield turned their passion for shooting sports into a career by opening a small gun shop in 1977 that would eventually become MidwayUSA (http://www.midwayusa.com). They instilled family values like honesty, integrity and respect for others into the business, and strive to maintain this culture with each Employee added to their growing team. 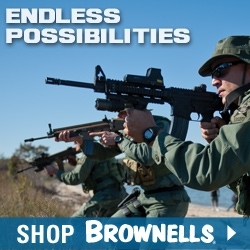 For over 38 years, MidwayUSA has maintained an unyielding focus on Customer Satisfaction and continues to offer JUST ABOUT EVERYTHING® for Shooting, Hunting and the Outdoors. 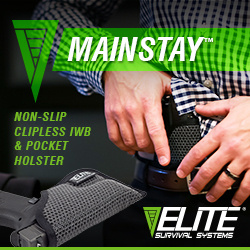 For more information on MidwayUSA, visit their website (http://www.midwayusa.com), find them on Facebook (http://www.facebook.com/OfficialMidwayUSA), or follow them on Twitter (http://twitter.com/midwayusa).